We are blown away with the ongoing support of this tournament over the years. We set another record-breaking year, raising over $42,000! Many teams enjoyed the help of professional long driver, Bobby Bradley (or the “Amazing Golf Ball Whacker Guy”) of Charity Golf International. Congrats to the Collins & Hermann Team as they took away the 1st place Championship Belts. For many more photos, view the 2018 Tournament Photo Gallery. Can’t believe this was our 5th year putting on this tournament! On August 12th, 2017 our Annual ‘For Pete’s Sake’ Golf Tournament took place and was the best one yet. The tournament raised over $40,000 and brought many friends and family together once again to celebrate the life of Pete. To no surprise, the championship belts were awarded to Brian Kane, Chris Mabry, Ryne Fischer, and Rich Pendergast of Ryan Lawn and Tree. Thanks to all those who came out, we couldn’t do it without you! For many more photos, view the 2017 Tournament Photo Gallery. The 4th Annual For Pete’s Sake Golf Tournament took place August 13th, 2016. With the continued support and help from our family, friends, and supporters we raised over $30,000 for the Peter L. Clevinger Legacy Foundation! Highlights of the day included a visit from Benedictine College’s own, Rocky the Raven, who was eager to entertain and take pictures with the golfers. Each golfer also left with a complementary Nike golfer hat with the foundation logo. 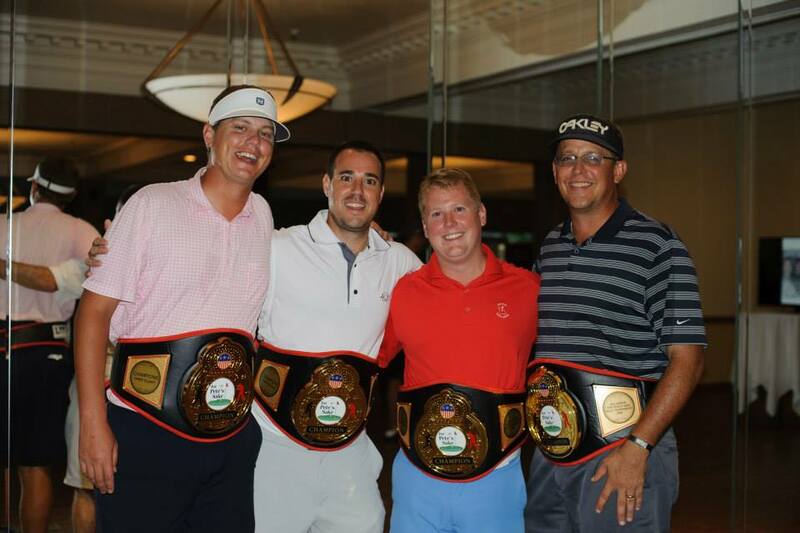 The 2016 Championship Belts went to Curt Marshand, Brian Kane, Chris Mabry, and Ryne Fisher, making them winners of three of the past four tournaments. Thanks to all who helped out for another memorable and fun filled day! For more photos, view the 2016 Tournament Photo Gallery. 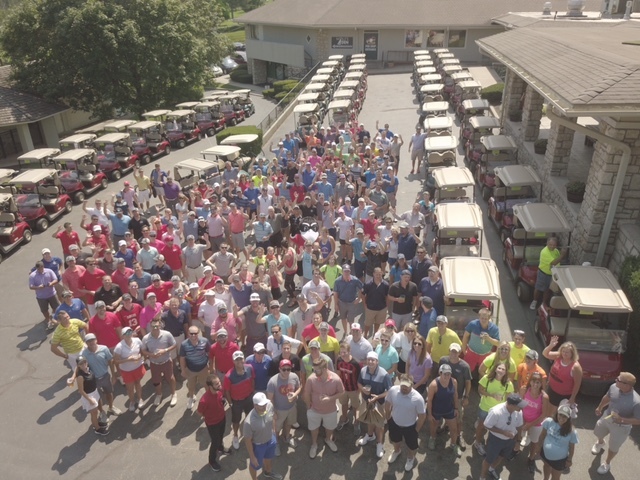 Our 3rd Annual For Pete’s Sake Golf Tournament took place on another beautiful day in August. We continue to build on our success from the prior years. 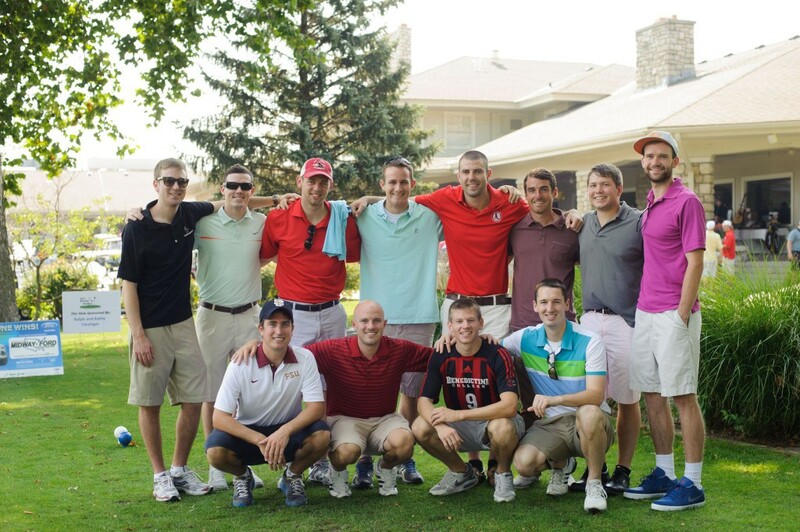 This year’s tournament raised over $35,000 for the Peter L. Clevinger Legacy Foundation. Thank you to all our sponsors, participants, volunteers, and supporters for all your help! We couldn’t do it without you! 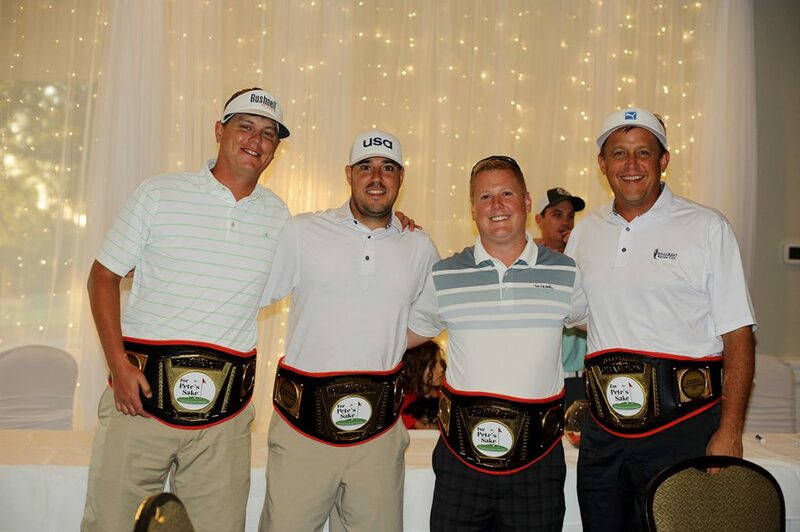 Out of the 40 teams, the Austin Wealth Strategies team consisting of Rick Austin, Mike Sobba, Tim Barry and Matt Barry took home the championship belts. Although they won’t admit to it, the Mallard Duck painting (last place award) went to Adam Love, Kyle Kremers, Tyler Shepherd, and Mitch Mattix. This was also the first year we had an official after party at The Well in Waldo, which was a lot of fun for those able to keep going after a long and fun day on the golf course. 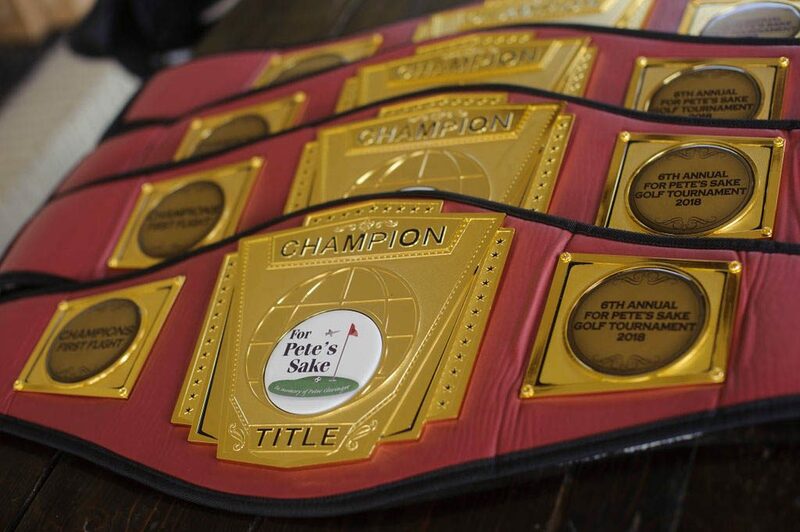 The 2nd Annual For Pete’s Sake Golf Tournament was held back at Hillcrest Country Club on August 16th, 2014. The tournament added to the success from the first year, raising over $30,000. The auction items were a big hit this year including a signed Clint Dempsey Jersey, a signed Mike Trout Jersey, and a puppy! The second For Pete’s Sake Golf Tournament Champion had to be settled by a 2 hole playoff. After tying on hole 18, the winner was finally crowned. The championship belts went to Curt Marshand, Brian Kane, Chris Mabry and Ryne Fisher, making them back-to-back champions. The Mallard Duck Painting (Last Place) was passed down to Tom Joerger, Aaron Caskey, Ted Henry, and John Bourneuf. Our inaugural tournament was a huge success after not really knowing what to expect. 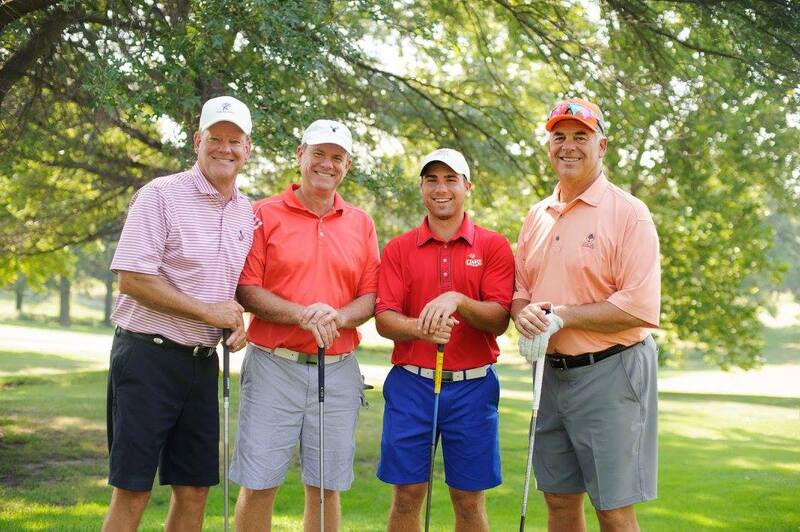 Held at Hillcrest Country Club in Kansas City on August 24th, 2013, the event raised over $25,000 for the Peter L. Clevinger Foundation. Money was raised through 160 golfer entries, corporate sponsorships, raffle, and a silent auction. One of the staples of the tournament, ‘Pete’s Kick’, where a golfer kicks a soccer ball to extend the distance of their original drive, was a player favorite. Curt Marshand, Brian Kane, Chris Mabry and Ryne Fisher came out on top as the first For Pete’s Sake Golf Tournament Champions. The Mallard Duck Painting (Last Place award) went to Eric Raplinger, Jason Durbin, Sean Lewis, and Andrew Domian. On behalf of the entire Clevinger family, we offer our heartfelt thanks for your love and support of Pete!